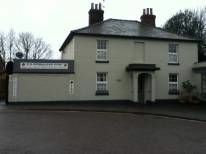 As operators of the premier piano showroom in Bury St Edmunds,Suffolk we have built up an enviable reputation around the area thanks to our exemplary service and wide range of new and used pianos to suit all levels of ability and budget. All of our used pianos are thoroughly checked so that we know that they can deal with the rigours of modern day life they come fully reconditioned,tuned and regulated within their price to give that just as new look and feel they also come with a full warranty. Our highly experienced firm spans three generations of the same family handed down from father to son with a wealth of experience, so we are confident in our ability to help with whatever enquiry that you may have. 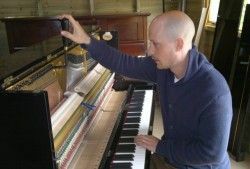 Matt served a ten year apprenticeship under his father Malcolm Waterson, who taught him everything he needed to know about the piano trade, from a minor job like fixing a broken flange to a full restring of a baby grand piano. He was also taught the very difficult job of how to tune a piano; something which his father taught him in the exact same way that he learnt to when he was a young apprentice. Matt was also taught the very specialist job of Piano Regulation(adjustment of the Piano action etc to maximise playing potential)is also a very highly skilled and professional job,which was picked up through the years of working under his father as a young appprentice. Matt is very passionate about his job and loves what he does, he is reliable,friendly and an expert in his field a person and a name which you can trust. Using traditional piano repair methods, we have extensive knowledge of all piano repairs and we will be happy to advise you on what needs to be done and if it is financially viable for you to do this.We can usually complete small repairs on site,with regards to larger repair jobs they would normally require the piano being brought into our workshop,If you would like advice about any type of piano repairs please call we would only be to happy to advise..